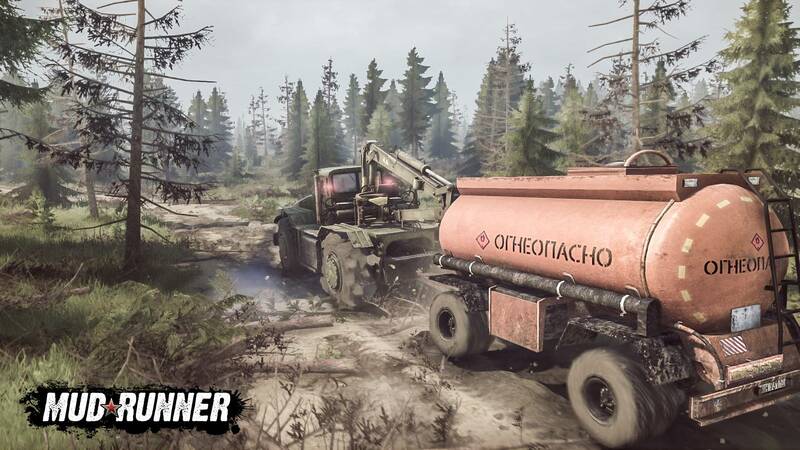 Available on PC and consoles, MudRunner is releasing the free Ridge DLC on the 29th of May, a free content update that includes a new map, new vehicles, and new add-ons to explore and experiment with. The Ridge is a coastal map split in half by a mountain ridge. Players will need to take a lot of care if they’re looking to cut time by travelling across the center. 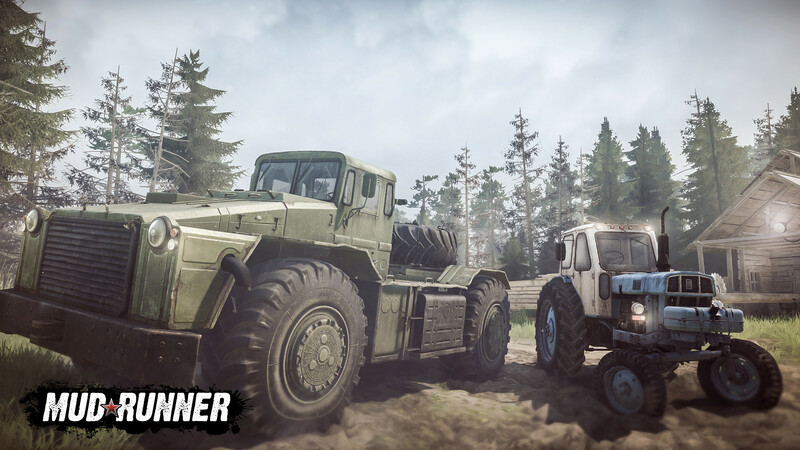 In addition to a brand new map, two new vehicles are being introduced, the D-538, a heavy duty tractor, and the B-6A, a lightweight tractor. These two vehicles can be used on any map, provided you have enough progression points unlocked. Completing The Ridge requires players to utilize a new type of delivery gameplay called Scavenging. Logs are now scattered across the map, and players will have to find them at various locations in the wild to complete deliveries and earn unlock points. 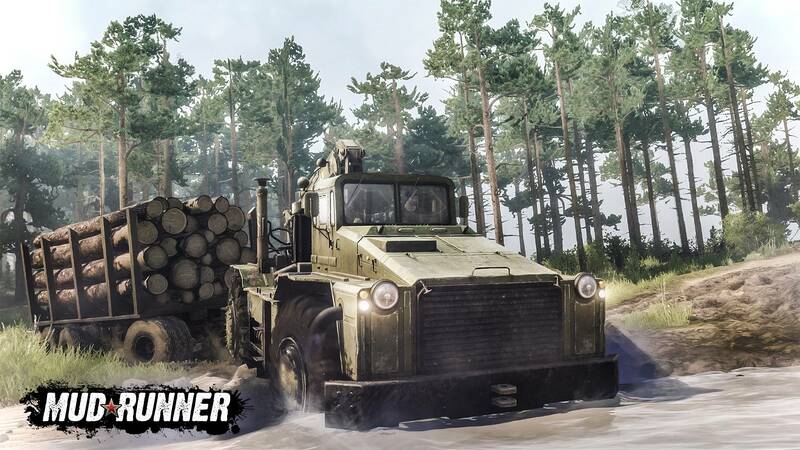 MudRunner offers incredible content and unique experiences - it's a genre of its own, reinventing the rules and offering new challenges for players looking for emergent encounters and true-to-life off-roading situations. Dedicated players and driving enthusiasts will appreciate the hyper-realistic driving sensations thanks to an advanced physics engine, a differential transmission system, soft-tire simulation, as well as realistic interactions between vegetation, mud, water, and your vehicle. MudRunner’s next free content DLC, The Ridge, releases on May 29th. CARGA BUGADA NÃO FUNCIONA, NA HORA DE CARREGAR NAO ENCHE O CAMINHAO E NA HORA DE DESCARREGAR O GAME NÃO CONHECE QUE VOCÊ ESTÁ COM OS TRONCO, MUITO RUIM, TIRANDO OS CAMINHAO, COLCA UM TRATO INUTIL E UM CAMINHAO QUE PARECE UMA CAIXA DE SAPATO COM UMA ESTABILIDADE MUITO RUIM. Сколько человек делают игру ? НЕ МОГУ ЗВГРУЗИТЬ ДЛС, ТРЕБУЕТ СТИМ! у меня игра обновилась а длс нет.